After the news of Steve Jobs’ death hit the Internet last night I sat for a bit reading heartfelt messages on Twitter. It wasn’t lost on me that I was sitting at an Apple computer while my iPhone sat on the desk next to me. Like many people around the world, I own some of the futuristic tools that Jobs helped give to the world. 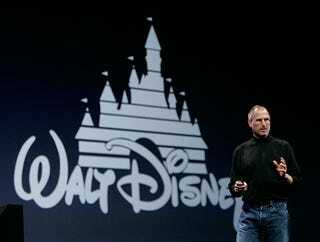 Jobs was truly a futurist in the tradition of talented showmen and a storytellers like Walt Disney. It’s one thing to understand what the future might hold, as I believe both Jobs and Disney did, but it’s another thing entirely to be able to communicate that vision of the future with both passion and poise to a broad audience. Jobs, like Disney, brought into our homes that passion for innovation and a confidence in technology’s ability to improve our lives. Steve Jobs certainly had his detractors both in and outside of the tech community. It was easy to parody the particularly intense zeal that so many had for Apple products, and by extension the special brand of technological optimism that Jobs presented with sincerity. But it’s both the sincerity and the optimism in his presentation of the future that made Jobs so special today. Sincerity and optimism make futurists vulnerable, especially during dark economic times. In 2011, it takes tremendous fortitude to present hopeful futures that aren’t drenched in a thick mist of ironic detachment or futile pessimism. This is not to say that a healthy skepticism is not an essential skill to exercise when dealing with futurism, but sometimes people romanticize a version of the past that shows its own kind of naivete. Futurism is a great foil for the concerns and problems of any age. The pages of Judge and Puck magazines at the turn of the 20th century delivered important social and political commentary through tongue-in-cheek futurism. But it’s the wide-eyed optimists — the dreamers of every decade — who were often sticking out their necks by believing that the future could be better for humanity. The optimistic future of jetpacks and robots and space travel that so many pine for today was presented by men like Walt Disney through television and film. With any luck, future generations may very well point to the optimistic visions of Steve Jobs as yet another golden age of futurism.